In a gaming world dominated by consoles and high end PCs, you wouldn’t think Microsoft and Halo would be pushing for a gaming experience on touch screen Windows 8 devices (including WP8), but you’d be wrong. Halo have announced Halo: Spartan Assault which aims to do exactly that. Available this July, it will explore the first missions of the Spartan Ops programme, and it is based between the events of Halo 3 and Halo 4. You play as Commander Sarah Palmer or Spartan Davis. With 25 unique missions, this single player game allows you to play against friends, or indulge in Weekly challenges. LONDON, Tuesday 4th June 2013 – With millions of franchise fans worldwide, Microsoft and 343 Industries today revealed an all-new way for gamers to experience “Halo” – this time, you can do it on Windows 8 devices. Available this July only on Windows 8 and Windows Phone 81, “Halo: Spartan Assault” is the first top-down action shooter that brings a “Halo” video game to touch-based devices. 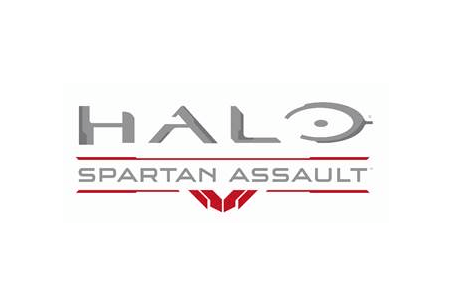 Developed by 343 Industries in conjunction with Vanguard Games, “Halo: Spartan Assault” provides an accessible, pick-up-and-play experience for fans and newcomers alike. Set between the events of “Halo 3” and “Halo 4,” “Halo: Spartan Assault” explores the first missions of the Spartan Ops programme and dives deeper into the backstory of the Human-Covenant wars. Play through the eyes of either Commander Sarah Palmer or Spartan Davis stationed aboard the UNSC Infinity as they fight in never-before-seen battles against Covenant forces. With 25 unique missions featuring unrivalled action and intensity, the single-player experience allows you to compete against friends in Leaderboards or hone your skills with Weekly Challenges. Replay the missions to collect more than 40 in-game Achievements and Medals. For fans who already have a prospering Spartan career aboard the UNSC Infinity, “Halo: Spartan Assault” lets you earn experience points (XP), all-new Achievements, and emblems for your “Halo 4” Spartan, with additional integration features available after launch.